The imported paper is numbered according to special identification numbers called reel numbers. These are serial numbers from 1 on wards. 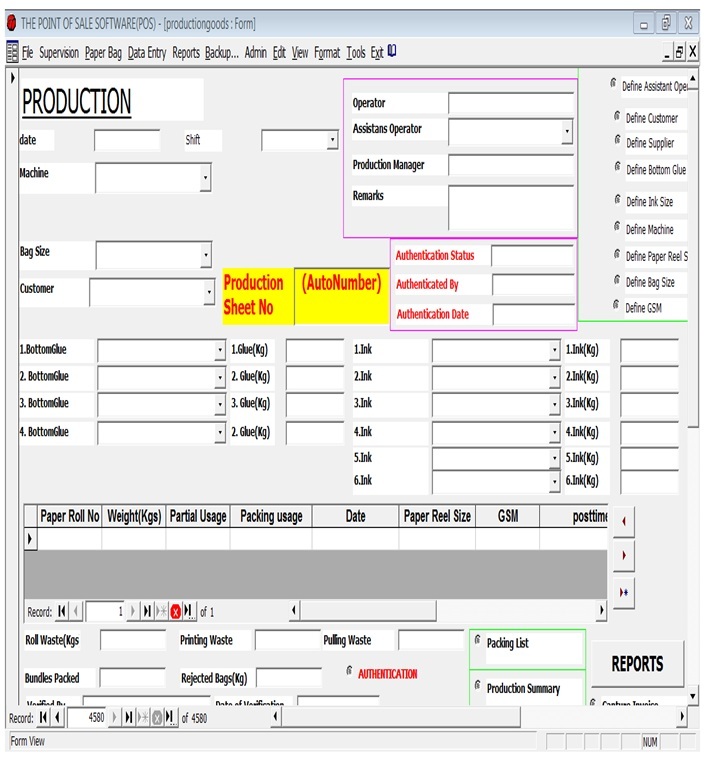 The system is also customized to generate these same numbers for purposes of monitoring stock as it is being used up, in the process of producing the paper bags, every complete set of reel numbers is called a packing list. For every production process , we establish the quantity of wastage, and paper used for packing , these later help in determining the unit cost for every paper bag batch, so that we don’t sell at a loss! Wastage would be Printing, roll or packing waste. We also have rejected bags. When reels have been generated, we need to authenticate them, once this is done no more adjustments can be done on these reels.